Apple this week have released iOS 7.1 to the public, the first major update to iOS 7 since its release last September. The update includes much-needed improvements to the Touch ID fingerprint recognition system built-in to the iPhone 5s, an fix for a home screen crashing issue, and it brings CarPlay support. unveiled by Apple last week. Accessibility – a new “Button Shapes” option that indicates where tappable areas are located, a “Darken Colors” option, and an enhancement to Contrast allowing users to reduce iOS 7’s white point. Announced by Apple in early March, CarPlay is an in-car infotainment system. The company wants to make using your iPhone in the car safer and more fun. CarPlay will give users access to maps, GPS routing, iTunes, Siri, and the ability to make calls and send messages via the iPhone and iMessage. iTunes Radio will now let you buy albums based on the song that’s currently playing with just one button press. Apple is also adding a search field above featured stations and allowing users to subscribe to iTunes Match via iPhone, iPad, or iPod touch. In addition to the changes made to iTunes Radio, Music applications now have Shuffle and Repeat buttons . Apple’s Calendar app now offers you the option of displaying events while in ‘month view.’ In addition to this, they have added country-specific holidays for new countries (though the release notes don’t offer a list, so you’ll have to check yours and report back in the comments). Apple has also redesigned the list view. Owners of 5, 5c & 5s will now notice a new setting in the Camera application that automatically enables HDR. You can also use the new ‘Upload Burst Photos’ option, which is accessed via iOS Settings. You can now manually control when Siri listens by holding down the home button and releasing it when you’re finished. Previously, Siri had to ‘notice’ by itself when you had finished talking, now by releasing the home button, you’re telling it you’re finsihed. Siri now has some new voices, including some more natural sounding ones for Mandarin, UK and Australian English, and Japanese. These are available in both male and female versions. If you’re still an iPhone 4 user, Apple is promising you an improvement in performance. 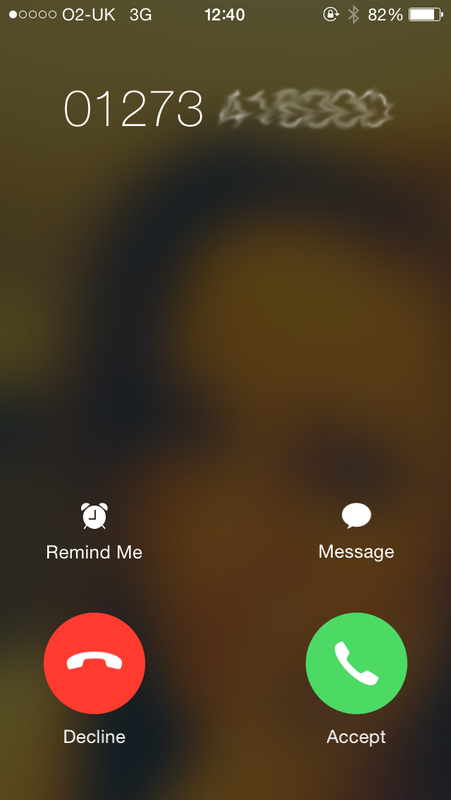 If you FaceTime across multiple devices, you’ll be pleased to learn that call notifications will now automatically be cleared when you take a call on another device. Apple has also made a few tweaks to the user interface that you’ll no doubt run into sooner or later. These include a new ‘Dark Keyboard.’ You’ll find this under the iOS Settings – > Accessibility. There you can also navigate to the ‘Increase Contrast’ tab where you’ll find a ‘Darken Colors’ option. You’ll also notice that the bold font option now extends to the keyboard and calculator, and the Reduce Motion option includes Weather, Messages, and multitasking UI animations. The dialer has gotten a refresh, too, as has the slide-to-power-off UI. TouchID and Passcode now feature on the main menu when you navigate to iOS Settings and ‘Touch ID requires your passcode when iPhone restarts’ will now pop up when you restart your phone.